But with Google AdWords advertising, you can do exactly that – right NOW. A day or two after you start out, your keywords get disabled, your ads are disapproved, and you’re disappointed to have to pay $1 or $2 or $4 or more per click for popular search-terms. AdWords advertising is a bucking-bronco. Yes, Google is treacherous at first. It punishes uneducated-marketers and rewards smart ones. So I wrote an email course to help you get started and beat the system fast. Specific recommendations for keyword tools, online shopping carts, email broadcast services, testing and tracking. Based on our work with tens of thousands of Google advertisers. Google AdWords “Cheat Sheet”: Instant PDF download, with a handy map of Google’s campaign dashboard. Plus all the essential terms and concepts you need, on a single piece of paper. 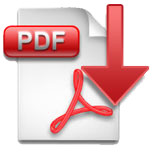 Instant PDF download. Get started making Google AdWords work for you now! This course gets you started today, and I solemnly pledge NEVER to sell your email address to anyone. “Not knowing what I was doing, I was about to spend $300 a day on Google ads just to test them, but then stopped myself and read your book first. Actually, I only skimmed it. Now I’m spending ONE DOLLAR a day and seeing sales. I’m now reading all of your book and it is a masterpiece.